Insulin and Weight Gain | Does Insulin Make You Gain Weight? Insulin and weight gain often go hand in hand. But what is insulin and what does it do for your body? 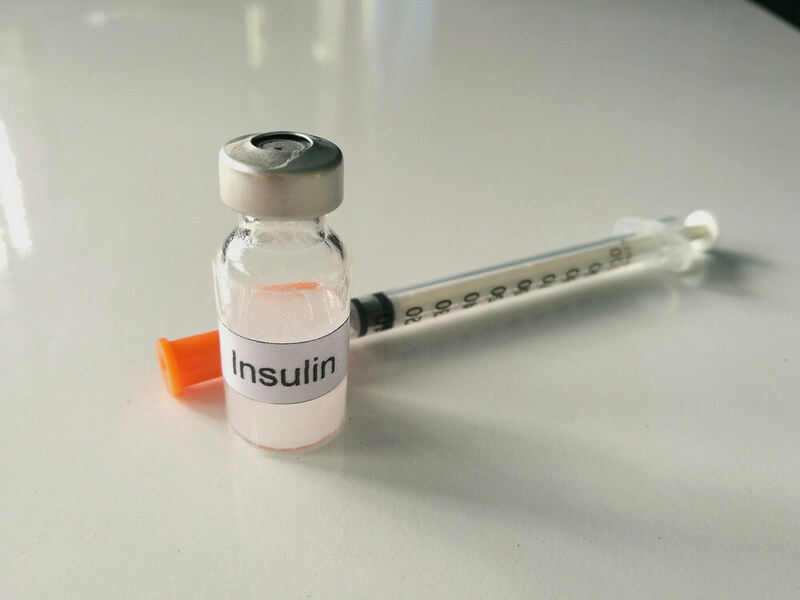 Insulin is a hormone produced in the body by the pancreas. Insulin works with the body to use sugar to create energy as well as keep blood sugar levels in line. If someone has type 1 diabetes, their body is unable to make enough insulin for the body to function properly. These individuals must take insulin to help the body process sugar and regulate blood sugar levels. Does insulin make you gain weight? It can, but only is a risk for those who must take insulin due to diabetes. Unfortunately weight gain is a side effect of taking insulin but here we’re going to go over a few ways how to lose weight on insulin as well as healthy habits to keep weight off while on insulin. The reason why insulin and weight gain go hand in hand is because if the body is absorbing more calories than needed plus given insulin to allow sugar to enter the blood cells, the body will be receiving more sugar than they need leading to accumulated fat and extra weight. The amount of excess sugar entering the blood cells depends greatly on the amount of physical activity an individual does. Continue reading to learn how to lose weight on insulin and tips for living a healthier lifestyle. Physical activity– Getting out and getting active is the best way to burn calories. This can be done by participating in somewhere around 150 minutes a week of aerobic activity. This type of activity can include, but isn’t limited to: walking, biking, dancing, gardening and swimming. If you haven’t been active in a while but are worried about insulin and weight gain, speak to your doctor about which physical activities are best for you and the best way to go about getting exercise. It is possible that the more active you are the less insulin your body may need. Eat – Eating may not sound like the best way how to lose weight on insulin but when you have diabetes, skipping meals is not good for overall eating choices and blood sugar levels. By eating healthy choices at each meal time you are allowing your body to be nourished as well as maintaining blood sugar levels. Calories – By counting calories, weight gain can be avoided. Counting calories can even help with weight loss due to healthier choices. It may seem like a task to count calories but it really just takes a bit of planning. When you plan out your meals you are less likely to make poor choices about food, especially if it is already purchased and in your fridge. While counting calories, watch portion sizes and drink more water. Take Prescribed Insulin – Don’t allow yourself to think that if you skip or reduce your insulin dose that it will help avoid weight gain. The risk of not taking the correct dosage is serious and cause much larger complications down the road. Different Medication – it is possible that the medication you are taking is causing extra weight gain than needed. Talking to your doctor about your concerns can be helpful for finding a solution. To work on a healthier lifestyle, focus on achievable goals such as short walks once or twice a week as well as working to keep weight within a healthy range. Making and achieving attainable, permanent changes can help you lead a healthier, longer life.